…in which a variety of Santas *do* bring books! 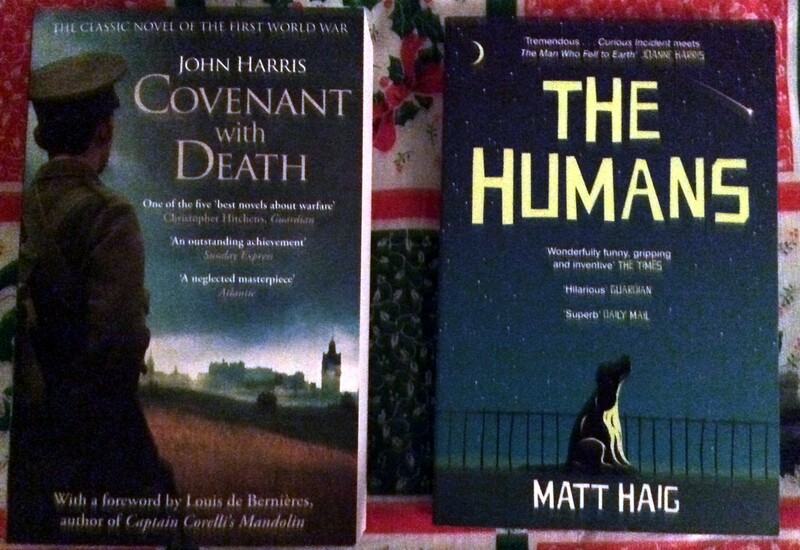 After the recent birthday bonanza of books, I wasn’t necessarily expecting a huge book haul over the festive period. 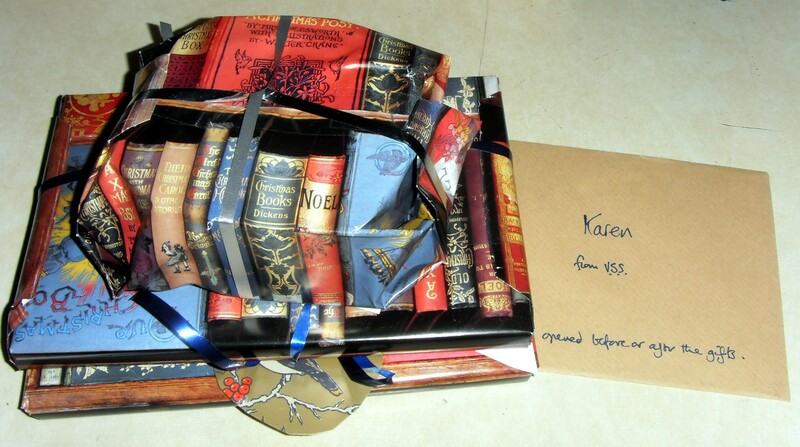 However, I was delighted to receive several gems and surprises, as well as a lovely Secret Santa – I’ve been very blessed with books recently! 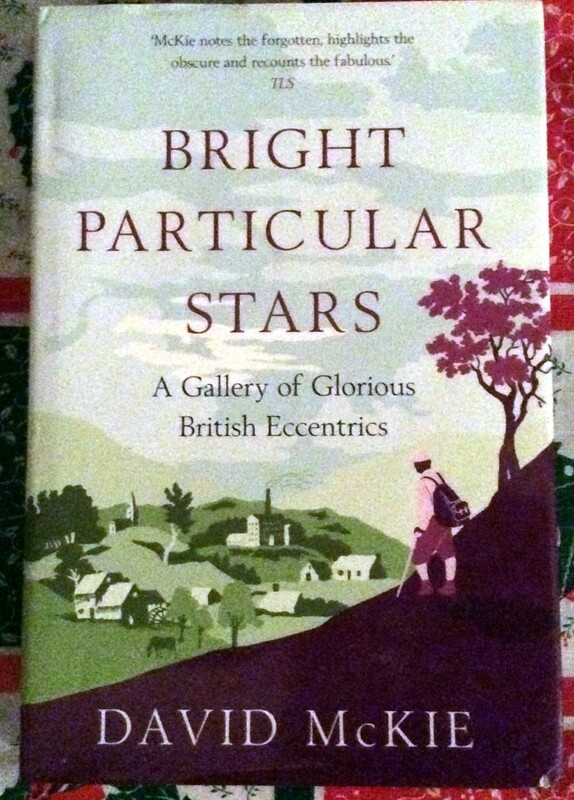 This rather appealing sounding book is nothing I’ve ever heard of – but as I’ve not read a lot of non-fiction in 2014, it’ll be ideal for next year! 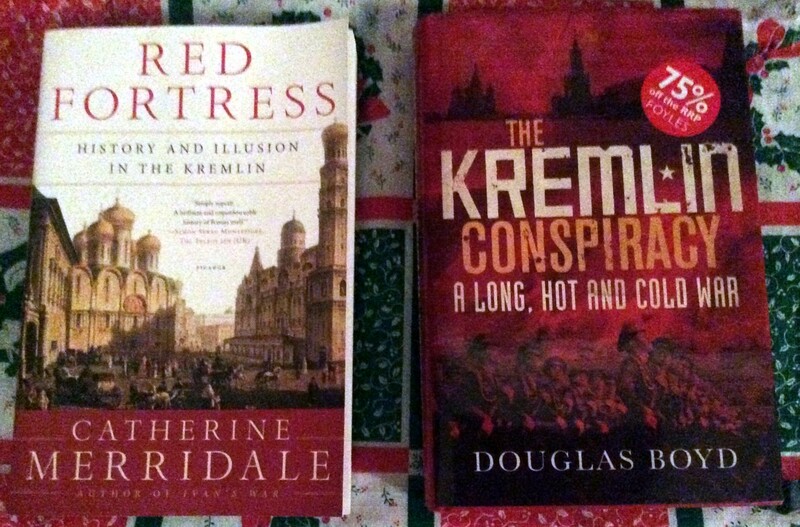 He also tracked down a couple of Russian titles – one I’d heard of and one I’d not. Fascinating fact of the season – I went to school with Catherine Merridale! She was in my form at Grammar School and ended up being our Head Girl – small world! 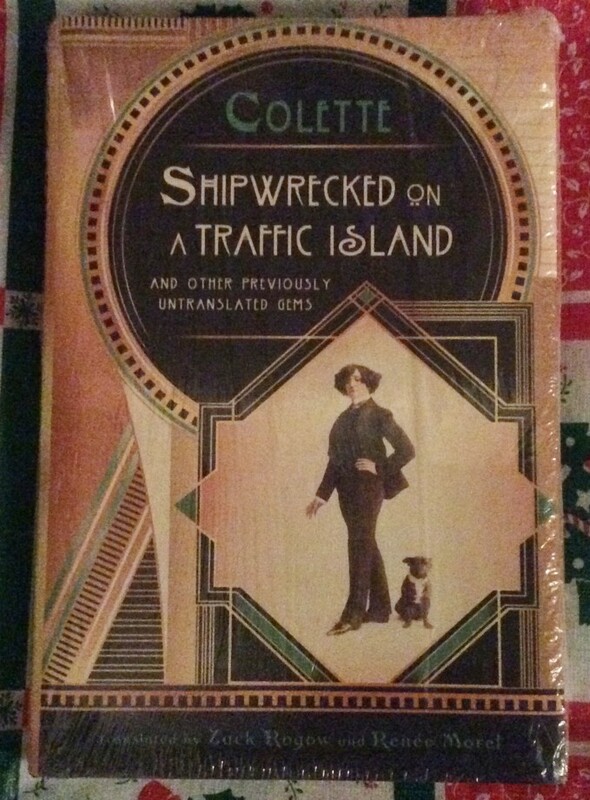 Middle Child came up trumps with this lovely new Colette title. I put it on my wish list recently to try to restrain my buying impulses, so I was very excited that she chose this – thanks, MC! These two lovelies came from a work colleague and an old friend – I know nothing about either but they sound varied and interesting so that’s got to be good! 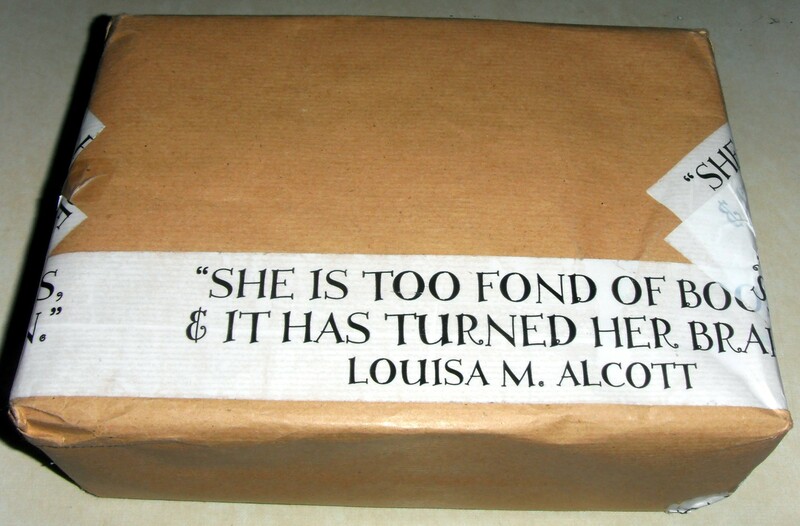 And from mother-in-law (with a little help from OH I suspect!) 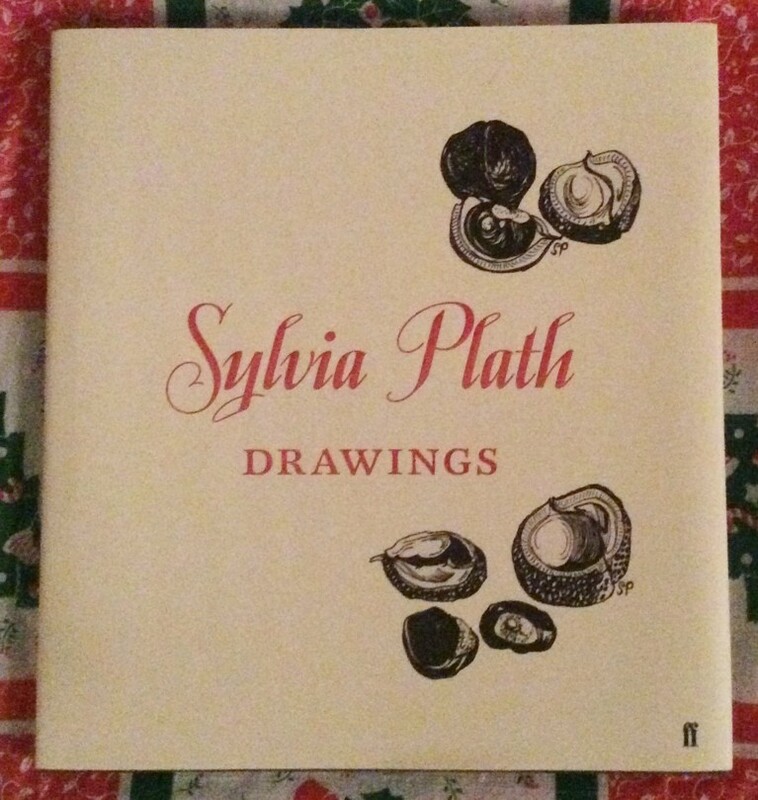 Sylvia Plath’s drawings – very exciting!!! 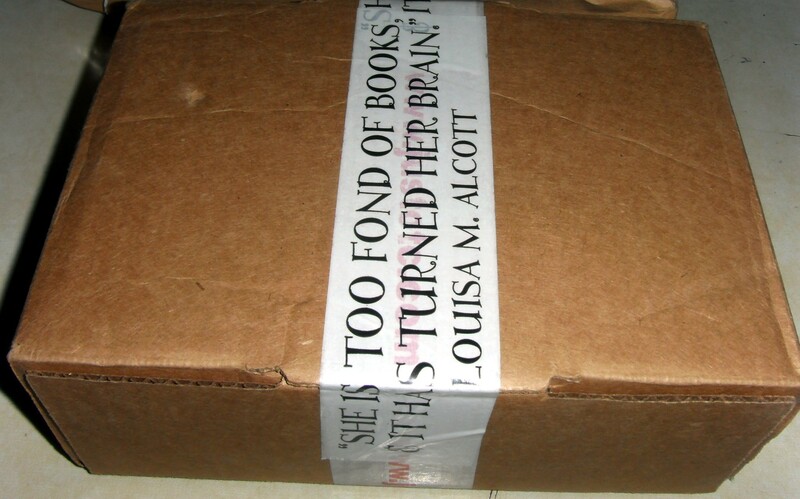 The contents turned out to be as fabulous as the exterior! “Bid Me to Live” by HD is probably the Virago I’ve been most keen to find but have failed most miserably to get, so I was *so* excited to receive this! And the Persephone is “Flush” by Virginia Woolf which I also don’t have! 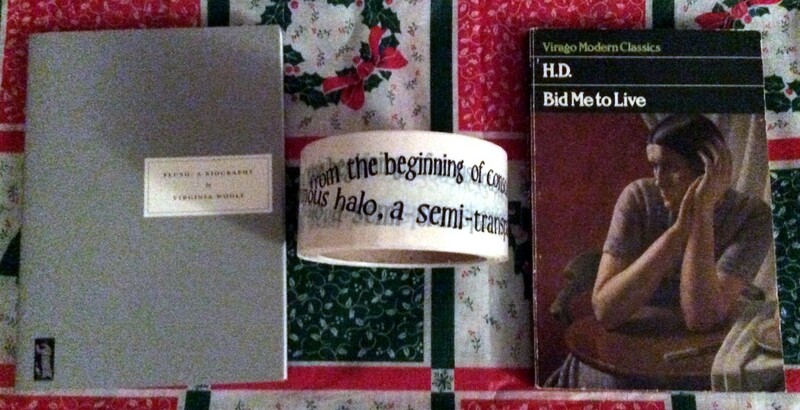 The tape is emblazoned with a Woolf quote and as Genny surmised will come in very handy this year! 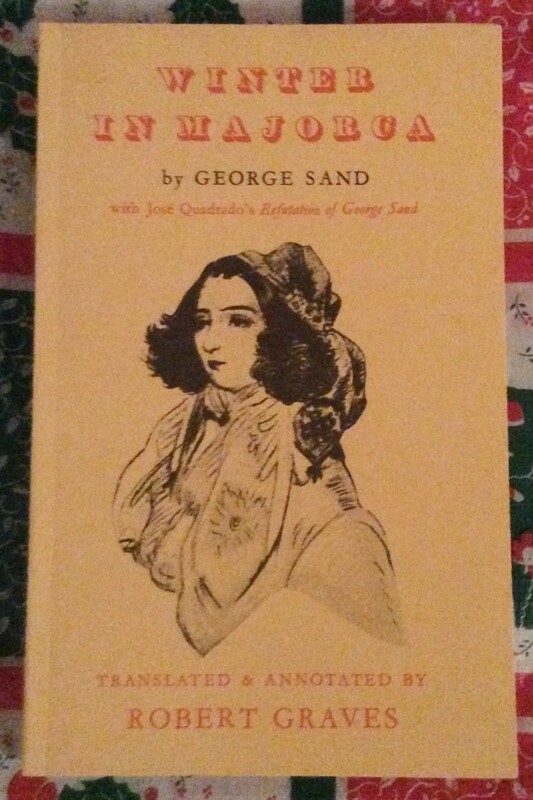 I was bowled over by my lovely VSS gifts; they’re just perfect – thanks Genny!